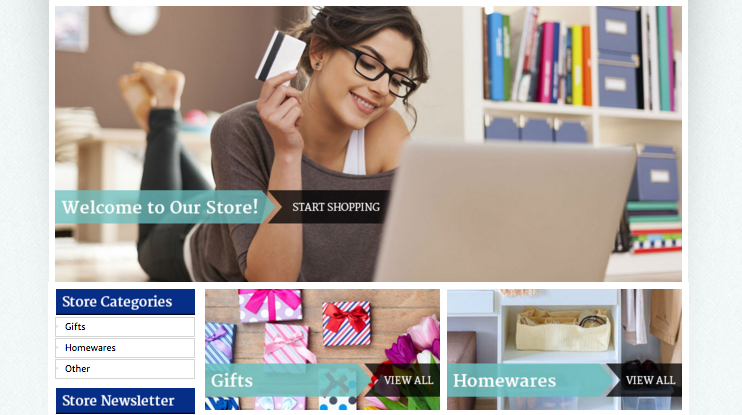 Today on the blog, OCDesignsonline is sharing with you another eBay storefront design success story. The client we are sharing today is for the seller Remick Online, an Australian store that is ready to make their eBay debut with a new design and customer service driven attitude. We love adding in “Why Shop With Us?” banners into almost every store we design for because they help potential customers see quickly what they can gain from a shop, which helps them in their buying decisions. For our client, we took the time to emphasize their free shipping and return policy as well as their satisfaction guarantee. It’s important to have this information readily available for customers because then store owners will receive less emails with repetitive policy questions. It’s all available so customers don’t have to wonder about whether these guarantees are available from a store. Arming your customers with information is a great way to encourage them to become long term customers so we were ecstatic to be able to do this for Remick Online. In the welcome image and in the clickable category images we were very particular in the images we chose for this eBay store. You know what they say, an image can speak a thousand words, so we wanted to make sure the photographs we chose to represent Remick Online was bringing about the right message. Since the aim of this store is mostly a female audience, we chose images that had a general feminine feel. The woman in the welcome image was styled to look comfortable and put together while also showing her creative side with the books and other decorative storage items behind her. And the gifts and homewares images are just as impeccably styled. The arrowed headers in the image also draw the eye towards the call to action, which is a subtle way to encourage more clicks and get more sales. If you want your store to sell more, you need a design team that knows what works and what doesn’t. 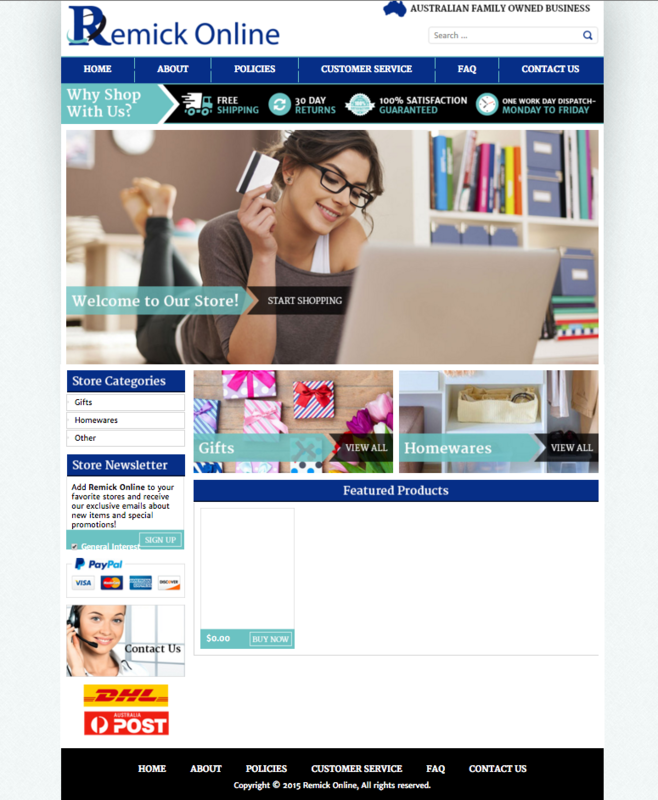 Whether you have an old or new eBay store, a new design could be all you need to get your store performing at its optimum best.